Fleet Management System integrates a security feature for night traveling staff of IT company. The client operates in the vehicle lease management industry, offering transportation services to major multinational companies (MNCs), who need to pick-up and drop their staff working on different shifts. The client provides efficient transportation to the staff of an MNC. The vehicles have to be managed for different shifts, and keenly monitored for the safety of passengers during travel. The client needs a solution of integrating the RFID solution with the GPS tracking system, to monitor in real-time the passengers and the driver’s behaviour, to maintain safety and control of routes during travel, especially in the night shift drops and pick-ups. Driver behaviour monitoring and management is critical to create a safety culture. Trinetra offered GPS enabled Fleet Management System with safety aspects integrated. Even with strong rules and strict measures, accidents, maintenance and service was a challenge. Now by integrating GPS fleet management system the client could manage safety in following ways. 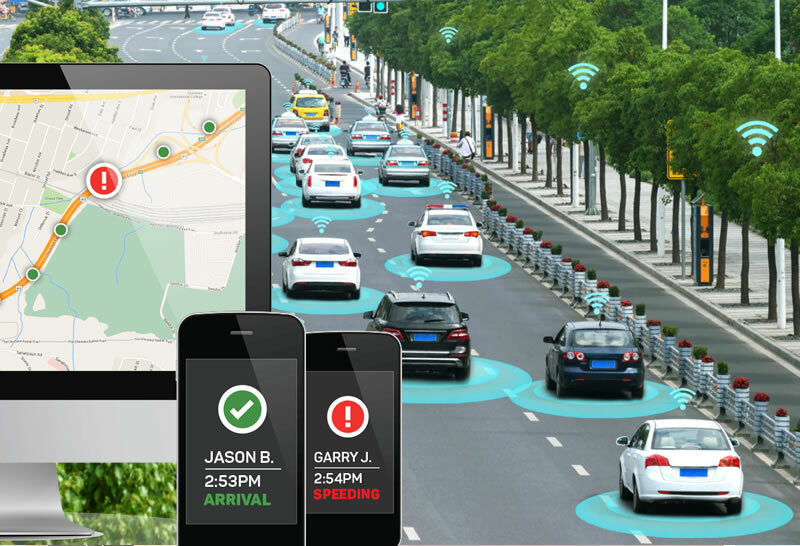 Trinetra’s driver management system can monitor live road violations and proper vehicle utilization and also take counter measures. The automated solution provides accurate details on driver behaviour and discrepancies can be monitored while on-field. Drivers and vehicle sent alert notification will help staff to know driver and vehicle details in advance, and to plan their safety during night. The system helps Fleet managers to manage vehicles by splitting them up, based on location, priority, etc. Further, shows the status on parking and idling, with location update, to avoid critical discrepancies. In an emergency situation driver can make use of the panic button, to notify an alert to the authorized persons.